Our mission is to empower kids to become the creative problem-solvers of tomorrow. KID Museum is an innovative learning space unlike any other in the Washington, DC region. The museum provides impactful hands-on learning that incorporates STEM, art and culture with 21st century skills like creativity and critical thinking. KID Museum serves 55,000 annually in its current site at Davis Library through school group visits, after school programs, weekend workshops, and more. It is a first step toward the museum’s vision of a larger, permanent home focused on empowering the next generation to invent the future with creativity and compassion. KID Museum is a place for the entire community. With a focus on diversity and inclusion, KID Museum has been working to create a state-of-the-art learning center and cultural gathering place for the entire community. Through partnerships with MCPS, Excel Beyond the Bell, and other community organizations, the museum serves children from across the socio-economic spectrum, with an emphasis on reaching youth from low-income families to build STEM engagement and future career opportunities. In 2011, Cara Lesser dreamed up the concept for a children’s museum that would harness a child’s natural creativity, highlight cultural awareness and acceptance, and spark a passion to make a difference. Our team of educators and support staff brings a variety of experience and skills to the organization, with many of our highly-trained Maker Educators coming to us from large museums and educational institutions. Join us as we grow closer to securing a permanent home and achieving our goal of becoming a world-class museum serving the Washington DC metro area. 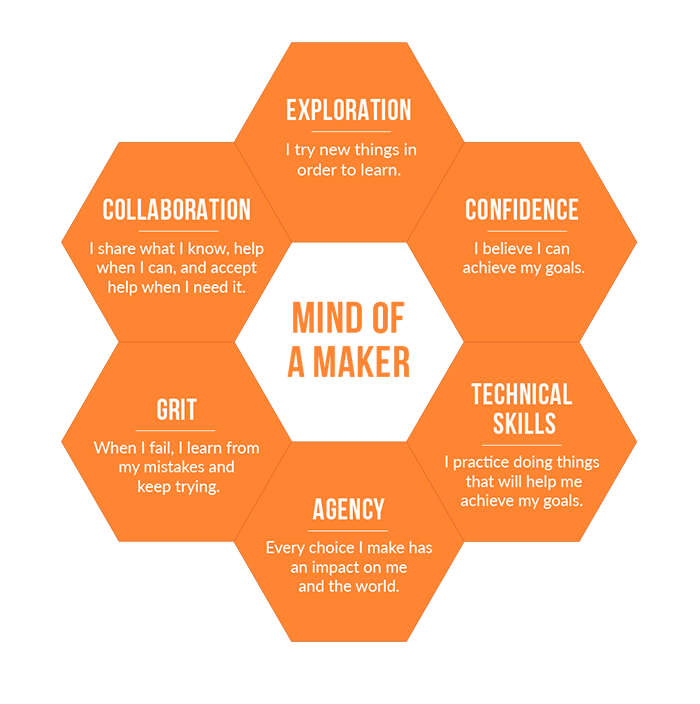 We believe that kids should take risks, work together, embrace failure, and pursue their passions. Through hands-on STEM, arts, and cultural activities, we promote social emotional development. Kids can learn to use a power drill or code a video game while developing skills like perseverance, innovative thinking, and confidence — skills that will last a lifetime.